Whether you have 3 kids of your own or spend some time carpooling or otherwise hauling around more than two kids, you're in for some surprises the first time you try to fit 3 car seats in a row into a normal sized vehicle. When it comes to squeezing three in a row, you want to make sure that the kids are comfortable and safe, and that you won't be spending 15 minutes scraping your hands and fingers trying to buckle seat belts or LATCH clips that are being mashed between two giant car seats. Below we detail the results of our hands-on research to find the best quality and narrowest infant car seats, convertible car seats, and booster car seats on the market. The narrowest infant car seats are about 17" wide, the narrowest convertible car seats are about 16-17" wide, and the narrowest booster seats are about 17" wide (but see our full reviews below for some details). The smaller you go, the more likely you will be able to fit three in a row, especially in smaller or mid-size vehicles. This is especially important when two or more seats are being used in a forward-facing position, when that backseat space becomes even more valuable! If you want more details about how we found the narrowest car seats of 2019, scroll down to the bottom of this page. Otherwise, here are our results! 1. Chicco KeyFit 30 Infant Car Seat. Up near the top spot on our best overall infant car seat list (here), this is an awesome, highly functional, safe, well-built, and stylish narrow infant car seat. It is on the slimmer side coming in at 16.75" wide (with base is 15" wide), but it is not quite as slim as the UppaBaby Mesa option (15.5" wide!). This car seat has been near the top of our overall best infant car seat for several years, trumping many of its Graco car seat competitors. And for some really great reasons, it is one of the most popular, versatile, comfortable, reliable, and affordable infant car seats on the market. The Chicco KeyFit 30 comes with a base that attaches into your car using either the Latch system or the conventional seat belt, it only weighs 15 pounds, and it comes in some adorable patterns and colors. It supports babies from 4 pounds (using included infant insert), up to 30 pounds. So, it goes nice and low, and might be a great car seat option for preemie babies. The Chicco KeyFit has multiple shoulder strap positions, but it only has one crotch buckle position, which can make things a bit tight for bigger babies. The shoulder straps are adjustable without rethreading, and we found the straps and buckles easy to use, and the straps were nice and wide which makes them less prone to twisting. The canopy is a bit small, but very functional, and the engineers at Chicco were smart to leave ample space for your hand to fit between the canopy and handle, to make carrying comfortable even when the canopy is up. It really has all the features you'll want in an infant car seat, and it's just under 17" wide, making it one of the narrowest infant car seats on the market. The Chicco KeyFit 30 sells for about $200, and you can check it out here. Note that the newer Chicco Fit2 is an even better overall infant car seat, but it's also a tiny bit wider: the Fit2's base is 15.25" wide, and the seat itself is 17" wide. Because the extra 0.25" of base width might not make a difference in your situation, you might want to check out our review of it here. 2. 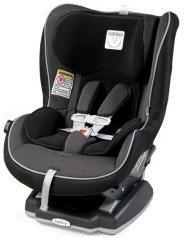 Peg Perego Primo Viaggio 4/35 Infant Car Seat. This is an excellent overall infant car seat, ranking in the Top 5 of our best infant car seats list, and nearly grabbing the top spot in this narrowest infant car seat list! This Primo Viaggio infant car seat measures a slim 17" wide at its widest point (where the handles connect to the sides of the seat), and the base is only about 14.5" wide. In addition to its narrow profile, there are a ton of things to love about this top-rated infant car seat. It has a great weight range, starting at only 4 pounds with the included infant insert, and going up to 35 pounds (or up to 32" tall) rear-facing. And while your baby is using this car seat, you can rest assured that your baby will be safe and comfortable. Safety features include an anti-rebound bar to reduce the rotational force in the event of an accident, a 5-point harness (no rethreading required), adjustable (moves up and down between 6 positions with the headrest) side impact protection, and good crash test ratings. 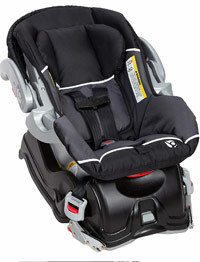 Speaking of safety, however, it does not include the steel-reinforced frame (unlike the Britax B-Safe). Regarding comfort, the seat looks and feels like it was hand-made by an Italian designer, with soft padding, smooth lines, and high-quality stitching. The soft jersey cotton fabric is also highly breathable which helps keep baby cool during those warmer summer months. You will definitely be impressed with the overall build quality and fit and finish of this car seat, and it's narrow enough to help you fit three car seats in a row. But the high-quality craftsmanship and premium styling comes at a premium price of about $300. In addition to its high price, there are some other downfalls worth considering. First, the canopy is decently sized but when it's open, it rubs up against the handle and makes carrying a little uncomfortable (squishing your fingers a bit). Second, the harness straps are a bit thin and floppy, which makes them a little more prone to twisting around when they're not being used. And we mentioned that it doesn't use a steel-reinforced frame; that makes it a little lighter for carrying around (it's about 10 pounds), but also reduces the structural rigidity of the seat frame. So overall, you're getting an excellent narrow infant car seat here that is worthy of its high rankings, with just a few downfalls. To read our complete review, see here. 3. 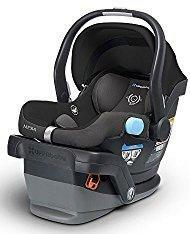 UppaBaby Mesa Infant Car Seat. This is another narrow infant car seat option, with a base coming in at under 15" wide at the bottom (where it matters most), and then the entire seat (with the handlebar levers sticking out on the sides) coming in at only 17" wide. It's overall a fantastic car seat and is included in our list of best infant car seats. This is slim-line infant car seat makes squeezing 3 in a row into the back seat a bit more possible, even in smaller vehicles. Note that, however, they make up for some of the narrowness in its length, so it does stick out quite a bit from the seat making for a tight squeeze between the back of the front seats and the edge of the car seat. It fits babies from 4 to 35 pounds (up to 32" height), using the included infant insert for the littlest ones. In our testing, we found this seat to be very plush, comfortable, have generally high-quality materials, and some great functionality. It clicks into and out of its base with ease, the harness straps are wide and don't become easily tangled, the handle is comfortable, the harness and headrest height-adjusts without rethreading, it includes the LATCH connectors, and it weighs less than 10 pounds. It has a ton of great things going for it, but also has some drawbacks. The drawbacks are: the fabric isn't so soft and doesn't seem to breathe well, the sunshade and handle interfere with each other a bit, and it's a bit pricey given these drawbacks, coming in at around $300. Outside of those issues, if you need that extra space, this is an excellent narrow car seat option that will definitely prove comfortable, safe, and reliable. To read our complete review, see here. This super narrow infant car seat, coming in at only 16.5" wide, is near the top of our best infant car seats for under $100 article. For a price point like this, we're looking at a seat with an impressive array of features. First, we love the carry handle that allows you to carry the seat in a bunch of different positions. Rather than forcing you to carry it with your arm parallel to your body, you can also hold it at a bunch of other angles, which is perfect for when your baby gets a little heavier and your arm gets sore from lugging it around! Second, Baby Trend has given us a sub-$100 infant car seat that does not require rethreading for harness adjustments! Yes, we're excited about that, because it's nearly unheard of in a car seat at this price point. Third, we found the fabric reasonably soft, easy to clean, and surprisingly breathable on the back and sides. It clicked easily into and out of the base without any issues. Finally, it uses an up-front shoulder strap adjuster to loosen or tighten, and it is conveniently positioned for adjustment even when connected to the base. So that's a lot of positives, though you probably noticed that we're impressed, but mostly because the price is relatively low. There were also some small issues that were an annoyance in our testing. We found the shoulder straps a little flimsy, which caused them to twist around and frustrate us when we went to buckle in the baby. We also thought the handlebar was really difficult to adjust; we had to press the buttons really hard for it to come loose, and then we found ourselves pushing pretty hard on it to adjust it back or forward (that was one of the most frustrating aspects of this seat!). The front recline adjustment was also not the easiest to use. The weight range isn't great either, supporting from 5 to 30 pounds. Finally, we also found the crotch buckle really difficult to figure out, especially when trying to do with just one hand. Overall, if you're really cramped for space, this super narrow infant car seat might be a good bet for you! 5. 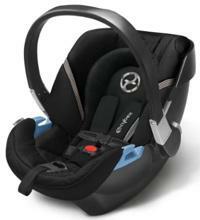 Cybex Aton 2 Infant Car Seat. This is an extremely lightweight, ultra-portable slim infant car seat with some excellent safety features, reputation for high quality, and European styling and comfort. We didn't get our hands on an Aton 2 car seat until earlier this year, and we were very impressed. Coming in at only 8.8 pounds and 17" wide (17.5" with handle), the seat supports babies from 4 up to 35 pounds (with included infant insert). It has fantastic safety features, including a load leg to reduce rotational forces during a crash, side impact protection, and LATCH capability. But for all that style, portability, and safety, you'll pay a steep price. Usually, it's around $300 for just the seat, with the base coming in at another $160 or so. And the canopy is really small, and getting it into and out of the base isn't as easy as with the UppaBaby or Chicco. So, this is another 17" wide option for infant car seats, but we don't highly recommend it. In our opinion, you'd be better off with the Chicco KeyFit and save yourself about $250. Here are the Narrowest Convertible Car Seats (scroll down for booster seats). #2 Peg Perego Primo V.
1. 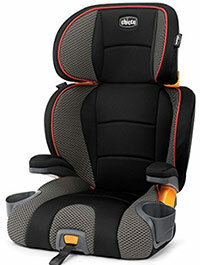 Diono Radian 3RXT Convertible Car Seat. This super narrow car seat comes in around $300 for most color options, and up to about $500 for some limited release colors. This is the best convertible car seat for small cars! The beauty of this car seat is exactly as depicted in the image: you can fit three wide without issue in most mid-size vehicles (like the Accord, Camry, RAV4, CRV, Fusion, Altima, Passat, etc. ), as it is only 17" wide (note the included cupholder is removed for this fit). This is definitely the best convertible car seat for small cars. The key here is having a car seat that is not only narrow at the base but actually continues to narrow toward the middle and top. Many boosters and car seats actually get excessively wide in the middle and have enormous side impact wings at the top, reducing the chances that you'll be able to squeeze three in a row into your back seat. For instance, the Diono Olympia is also 17" at the base but it gets much wider toward the top (and thus is not recommended for fitting three in a row). The second important feature is having the option to secure the entire car seat to the vehicle with either the LATCH or the car's shoulder and lap belts, and then having the kids use the integrated 5-point harness. This is the best way to go, because then they don't have to jostle themselves and the seats around to try and squeeze the buckle and their hands into the little gaps (and better yet, the parents don't have to help with this awful process!). This particular convertible car seat can be rear facing from 5 to 45 pounds as a narrow infant car seat, then front facing from 20-80 pounds using the 5-point harness as a narrow convertible car seat, and finally up to 120 pounds using it as a narrow booster with the car's shoulder belt. So this is one of the few convertible seats on the market that is only 17" wide and can go from infant car seat (using the infant insert as pictured), to convertible car seat, to a full-on high-back booster seat that uses the vehicle's seat belt (a belt-positioning booster). Note that it does not convert to a backless booster. It has side impact protection, includes a top tether, and uses the Diono SuperLATCH system. It's an extremely well-built, durable, reliable, and safe car seat - the Diono car seat is known for these characteristics. As an added bonus it also folds flat for easy transport. This is a bit pricey for a mainstream convertible car seat, but for those who need to accommodate 3 in a row, this is the best option out there! Interested? You can check out the Diono Radian 3RXT here. 2. 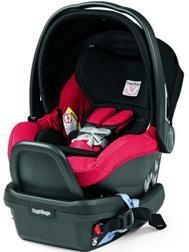 Peg Perego Primo Viaggio Convertible Car Seat. About $350-400 depending on color options, which tends to be a bit pricier than the Radian RXT. Peg Perego makes excellent high-quality car seats, and this narrow convertible car seat option, the Primo Viaggio is no exception. Coming in at only 14" wide at its base, and 18" wide at the torso, this is a versatile and reliable narrow car seat that will last you many years of comfortable riding. Yes, it is wider at the torso than other car seats on this list, but the super narrow 14" base makes sharing back seat space with a rear-facing infant car seat much easier. Rear facing it can be used with babies as small as 5 pounds (with the included infant insert), and goes way up to 45 pounds; not many convertible car seats came close to this weight limit and this is extremely useful given the new recommendation by the American Academy of Pediatrics that children should be rear-facing for as long as possible (beyond their second birthday). This one of the reasons we love both the Radian (above) and this Primo Viaggio so much. Forward-facing, this narrow convertible car seat can be used from 22 up to 65 pounds. It does not additionally convert to a booster, so keep that in mind when choosing between this and the Radian. If you're looking for a great rear-facing infant seat that is also an excellent convertible seat, this is a great bet for you. The contours and support of this seat are a bit more suitable for infants and toddlers, while the Radian is best suited for toddlers and older. Regarding safety, Peg Perego uses shock absorbing foam for side impact protection, as well as below the seat to protect your child's head, neck, and spine in the event of an accident. In our tests, we found that this car seat is also extremely easy to install, and the buckles worked very well for quickly getting the child in and out of the seat. The fabric is breathable and easy to clean (a big plus when your child spills milk all over the seat!) and the seat is heavy and big, but nothing ridiculous (21lbs). Overall, this is an excellent option for a narrow convertible car seat with some great features. Interested? You can check out the Peg Perego Primo Viaggio here. 3. Diono Radian R100 Convertible Car Seat. No, we don't own stock in Diono or benefit in any way from including their seats at the top of the list. The reality is that they make the best narrow convertible car seats around, and this one is no exception. This more basic Radian seat is more limited than the RXT above, but it comes in at a more reasonable price point around $240. Just like the RXT, this car seat is only 17" wide, allowing you to fit 3 wide in most mid-size cars and SUVs. The basic frame size and shape is highly similar to the RXT, with only a few noticeable differences. First, it only has one layer of side impact protection (rather than two layers in the RXT). Second, it doesn't include an infant insert so it does seem quite roomy when used rear-facing with an infant unless they are over about 15-20 pounds or so. Third, its weight capacities are a bit lower than the RXT: it can support 5-40 pounds rear-facing, 20-65 front facing with the 5-point harness, and up to 100 pounds using it as a booster with the car's shoulder belt. For most situations, the weight capacity and range differences will not affect your use of the product. There are very few situations that require using a booster with a child over 60-70 pounds. The good news is that it is the same overall footprint as the RXT, also folds flat, uses the LATCH or belt to secure to the vehicle, and costs over $50 less than the RXT. To us, this equates to a lot of winning features and specifications to make this the best option out there for those who don't need the infant insert, are not overly concerned with doubling up on side impact padding, and don't anticipate being affected by the weight range differences. If you really need that infant insert but don't want to pay the RXT premium, check out the Radian 120, which is similar to the R100 but includes an infant insert and a higher weight capacity (120 pounds). Though this does not come in nearly as many cool colors as the Diono Radian RXT Convertible Car Seat, it does come in two similar colors, Stone and Shadow, that use a nice quality microfabric feel cloth. Interested? You can check out the Diono Radian R100 here. 4. 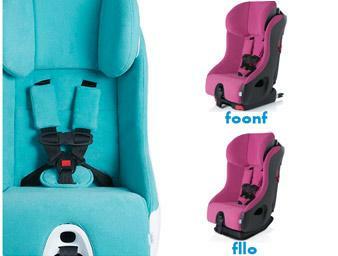 Clek Foonf and Clek Fllo Car Seats. Here is another 17" wide convertible car seat option that is very well constructed, safe, and comfortable. It is also very modern in its styling and frankly quite expensive, coming in at around $380 for the Fllo, and $480 for the Foonf. These narrow car seats have some great safety and convenience features. For safety, it uses a steel and magnesium reinforced frame, energy absorbing foam, an anti-rebound bar (standard in Europe) to reduce seat roll and whiplash risk, and a 5-point harness. For features, the Clek Foonf and Fllo use very high quality and soft, Greenguard-certified fabrics for eco-friendly and low-emissions fabric manufacturing, fully adjustable (no rethreading) headrests, and some truly adorable colors and patterns! Not only is the seat itself only 17" wide, but the base where the seat is raised off the vehicle seat is only 13" wide, which makes life much easier for very narrow installations. So, the Foonf is the more expensive option, and includes a few additional features: it uses the LATCH system to make installation easier, has a convenient recline function to ensure proper installation and comfort, and is approved for aircraft travel. The Fllo is about $100 cheaper and has only a flip-up foot to assist with recline for rear-facing situations, does not include the LATCH system, but it is also approved for air travel. The two are very much the same, with the Fllo being the more compact of the two. The weight ranges and capacities are 14-50 pounds for a rear-facing narrow infant car seat, and 22-65 pounds for a front-facing narrow convertible car seat. Notice how it doesn't quite go low enough to accommodate most newborn babies, doesn't include an infant insert (sold separately, expanding the support down to a 5 pounds infant), and the upper limit is nowhere near as versatile as the Diono Radian. But is definitely is the more attractive and stylish of the bunch, so we'll let you make the call! Interested? You can check out the Clek Foonf and Fllo here. 5. 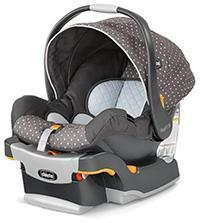 Graco SlimFit Convertible Car Seat. This is Graco's narrowest convertible car seat. Not nearly as narrow as the Diono or Clek models, but pretty close coming in at just about 18" wide. This will help you fit three in a row in a larger vehicle, like a full-sized car, SUV, minivan, or truck, but it might not help you fit three car seats in a row in a relatively normal-size vehicle. If you can squeeze another inch out of your back seat, this is likely a great option for you, especially given the reasonable price point around $175. There are some great safety features with this seat, including crash and side-impact testing of its double-layered side impact protection, 5-point harness, EPS energy absorbing foam, and InRight LATCH system. 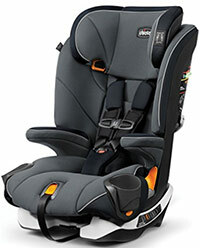 It also has some great convenience features, including an adjustable harness and headrest that adjusts across tons of positions, an infant insert to support babies as light as 5 pounds, two cupholders that can swing in to meet the 18" wide requirement, 4-position recline, and the versatility to go all the way from infant car seat (5-40 pounds), to convertible car seat with harness (20-65 pounds), and then to a belt-positioning booster (30-100 pounds). We loved the soft-touch fabric that was easy to spot wipe clean, and easy to remove for machine washing. We also liked the big plush side impact protection, the swing-in cupholders, and the fact that our test kids were really comfortable in the seat. It's an overall excellent narrow convertible car seat for a great price, and we highly recommend it! Interested? You can check out the Graco SlimFit here. 6. 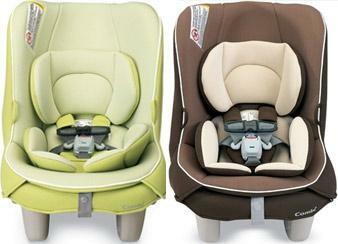 Combi Coccoro Convertible Car Seat. It shouldn't be surprising that there are so many European companies on this list, such as Combi, Clek, and Cybex, with their modern European styles. The reason is that Europe has tons of small cars, VWs, Fiats, Renaults, Skodas, Peugeots, and small Toyotas, so the market for narrow car seats is really large. The Combi Coccoro Convertible is perfectly suited for fitting into even the tiniest vehicles. The smallest convertible car seat on our list, the Coccoro is only 15.5" wide, which is the same width as our narrowest infant car seat! This convertible car seat is super comfortable, stylish, high quality, and safe. It has the Combi Tru-Safe side impact protection with very deep side walls, EPS energy absorbing foam, a 5-point harness with a visual indicator to show its buckled, and a tether connection for rear-facing tethering. It also has built-in lock-offs for a good vehicle seat belt connection, and easy to use (second generation) LATCH connectors. With rear-facing use, the seat accommodates babies as tiny as 3 pounds (with included infant insert) and as large as 33 pounds. That lower weight limit makes it a great car seat for premature babies. There are 4 harness heights that are easily adjusted. Front-facing can be used from 20-40 pounds, making this the most restricted convertible car seat on this list. While it's the narrowest by at least an inch, it also cannot support children greater than 40 pounds. 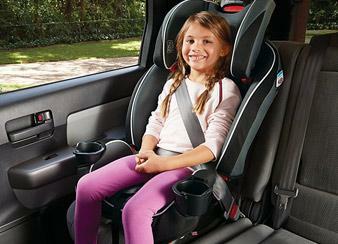 That means you'll need to purchase a convertible or booster seat around the age of 4-5 years. So, while this seat has a lot going for it, we only really foresee it being useful to you for two reasons: first, if you really need to squeeze another 1.5" out of your back seat, and you're willing to pay the $250 to achieve that goal. Second, if you have a premature baby and constrained rear seat space, this could be a great option for you. Outside of that, it's super narrow but also super limited in functionality for most families. Here are the Narrowest Booster Car Seats. Clek has developed some really excellent car seats, including the popular and super narrow Fllo and Foonf convertible car seats, and this Clek Oobr booster car seat. This narrow booster seat surprised us in our review. When we first received the booster, we were expecting that it was 18" wide, making it just as wide as some of the widest booster seats we've tested. But more detailed measurements revealed that this booster car seat is great for cramped back seats because it is actually only 15.5" wide at its base. And the width at the base is super important when you're dealing with attempting to buckle in 3 seats in a row. Coming in at such a narrow base made this process much easier, helping us squeeze our hands in between the car seats to buckle the seat belts. Up above the base are the arm rests, which stick out a bit farther (18" wide total), and then the headrest is only about 16" wide. If you're putting three forward-facing car seats in the back, the 18" width at the arm rests might not be ideal, but if you're putting it next to a backless booster or rear-facing infant seat, it will work really well. So enough about its dimensions, let's talk about the seat itself. Ranking in the top 5 booster seats of the year in our best booster car seat list, the Oobr has a lot to offer. It has sleek and simple European styling, It includes the LATCH system for holding the seat in place when unoccupied, and converts from a high-back booster seat (pictured) to a backless booster seat. The high-back supports 33-100 pounds (up to 57" tall), and the backless supports from 40-100 pounds (up to 57" tall). That height limit isn't quite as high as the Britax Frontier or Parkway booster seats, but those are also much wider at the base. For safety, it has a reinforced frame, energy-absorbing foam, and a structural headrest with great side impact protection. We didn't find it super cozy, but it was pretty good. It also has adjustable recline that is easy to use, the seat fabric was Greenguard Certified, nice to the touch, and easy to clean. It's really sturdy and feels very substantial, and includes belt positioners to make sure your vehicle's belt height is appropriate. There are only a few downfalls. First, it's a little odd that the headrest moves up independently from the rest of the seat - so when a tall kid sits in it, it leaves an open gap with just the metal bars. Second, it's pretty expensive for a non-combination booster seat, coming in at around $200. So this is an overall excellent narrow booster seat option that will work really well for certain back seat configurations. This is a great narrow booster seat option for back seat situations that demand a booster seat that's narrow at the base and through the arm rest area. The Chicco KidFit measures just a hair under 17" wide at the base, making it one of the narrowest highback boosters on the market. Up above, the shoulders do flare out pretty wide, making it about 19" wide at its maximum width. That should be OK for situations where this booster seat is positioned next to a rear-facing car seat or a backless booster seat. In larger vehicles, it should also be OK even positioned next to a narrow front-facing convertible car seat like the Diono Radian or Clek Fllo/Foonf. In addition to its narrow stance, this booster seat also has some nice features. It includes the LATCH system to hold it in the vehicle when unoccupied, and has an up-front LATCH adjustment that is very convenient. It supports kids from as low as 30 pounds and up to 110 pounds. We do not recommend using a belt-positioning booster seat with a child under at least 45-50 pounds, even though this seat is rated for such lightweight children. The headrest heights have a great range (10-positions!) and the height is very easy to adjust. It actually adjusts the height of the entire back, which is ideal for getting a good seat belt position and not leaving a gap in the upper back like you have with the Clek Oobr. The fabric was reasonably plush and felt good quality, and the seat can recline to fit into varied vehicles and their unique back seat angles. One of the features that makes this more narrow than most other booster seats is the collapsable cup holder, which helps you make more room for tighter situations. Like the Oobr, it converts easily to a backless booster. Cons? The belt-positioners don't always do a great job holding the seat belt in place and sometimes it pops out of the track. Other than that we think it's great and its narrow stance makes it an awesome option for cramped back seats. 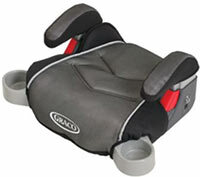 Here is another Chicco booster seat option. Released in 2018, this is an overall excellent booster seat with some fantastic features. First, let's talk about the dimensions. Not quite as narrow as some of the other booster options here, this booster seat comes in at 17.5" wide at its widest point. But here's the thing: that width applies to the entire seat, and at the base it's about 1.5" narrower. That means that this is an excellent option for situations where you have multiple front-facing car seats in a row, since the arm rest and shoulder areas don't protrude much more than the rest of the seat. Now, let's talk about the features. This is a combination booster car seat, which means that it first functions as a front-facing harness car seat (25-65 pounds), and then you can remove the harness and have it function as a belt-positioning booster (40-100 pounds). It does not, however, transition to a backless (bottom-only) booster car seat, so keep that in mind. This car seat functions a bit more like a 3-in-1 convertible car seat without the rear-facing option, and other than its relatively narrow width it's actually nearly as large as a convertible car seat as well. When we first took it out of the box we were surprised by how heavy and bulky it was for a booster seat. But to be fair, the entire thing felt really sturdy and high-quality, and the fabrics were really nice. The installation was easy, and we liked the shoulder pads on the 5-point harness, the cup holders, the soft-touch plastics, and the easy to use adjustments (9 head rest positions, 4 recline positions). The cup holders are removable, it includes LATCH connectors and seat belt lock-offs. For safety, it includes side impact protection, a steel-reinforced frame, and EPS energy-absorbing foam. Overall, we really liked this combination booster and thought it made a great new addition to our narrow booster seat reviews. The only cons are the price (about $200), the fact that it doesn't convert to a backless booster, and that not all the parts feel very high quality (like some of the small plastic adjustment pieces). And it's top-rated by Consumer Reports, so you can't argue with that! We would be remiss if we didn't include the trusty Graco TurboBooster Backless booster seat in this list of the narrowest booster seats. And here's why: with the cup holders tucked in, this booster seat comes in at a super narrow 16.3" wide, making it the narrowest booster seat we tested other than the small inflatable ones. Coming in at about $30, if your child is heavy enough (over 40 pounds) and tall enough (we suggest over 38" tall), you really can't go wrong with this booster seat. It has a removable and machine washable cover, two cup holders that can be slid into the side and out of the way, and two removable arm rests. You migh wonder why you'd need to remove the arm rests, but just try to stuff two of these into a suitcase without popping them off! Other than that, you get what you pay for here: a sturdy and reliable backless booster seat with some decent featurs for the price, and a long track record of quality and utility. And it's narrow enough to help you fit three car seats in a row, making this an awesome option for kids that are ready for a backless booster! Cars that are probably OK. If you drive a minivan (like the Sienna, Odyssey, or Caravan), full-size car (like the Avalon, Taurus, Impala), midsize SUV (like the Grand Cherokee, Pilot, Highlander, Traverse, Flex, or Explorer). or full-sized SUV (like the Tahoe, Sequoia, Expedition, or Armada), three seats should fit just fine into the backseat with strategic placement. And if you have the third-row seat, you're in even better shape. Most of these larger vehicles will accommodate even the bulkiest setups, like having 2 rear-facing car seats along with a front-facing convertible, or 3 front-facing convertibles in a row. Cars that are probably not OK. But for most of us, who happen to drive from compact to mid-size sedans, crossovers, and relatively compact SUVs (like the RAV4, CRV, Escape, CX-5), you might find yourself having some difficulty trying to squeeze three car seats into the back. For instance, we recently tried to squeeze 2 booster car seats (the Graco Highback and Evenflo AMP) into the back seat of a RAV4 along with a Britax Marathon front-facing convertible seat. Together, they could fit if the convertible was in the middle (using the shoulder belt to secure it in place), and the two boosters were on the outside. But it was a very tight fit, and parent assistance was needed during each booster buckle-up (even with a 6 and 8-year-old) because the seats were squeezed up so tightly to each other that fitting two hands down into the slots to buckle was basically impossible. The trick was to slide the boosters out toward the door a bit, buckle them, then slide them back in and close the door. This made for some frustrated kids and, as you can imagine, somewhat frazzled parents. Some options. As you've probably figured by now, there are only a few ways around this situation. The first is to figure out whether you can get a third-row seat into your SUV or crossover. Plenty of them have third rows from the dealer, like the Highlander, Flex, CX-9, Pilot, and basically all full-size SUVs. You can also figure out a way to get a third-row seat into smaller SUVs, like the RAV4 and CRV, but that's not highly recommended for safety reasons. The second is to consider purchasing a different vehicle, either a larger one like a full-size sedan or SUV, that will fit three wide, or a minivan that will fit up to 2 adults and 6 kids. The final option, and likely the cheapest and best, is to be strategic about which car seats to purchase, and how to arrange them in your existing vehicle. To help you out, below we list some of the narrowest yet best rated seats on the market. Rather than give you long-winded technical reviews of each (like we usually do), we focus on a few things. 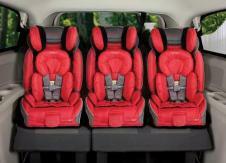 First, the width of each car seat, and second their versatility. The secret fit. The secret, as we've come to find out, is to figure out the right combination of the shoulder belt, LATCH, and 5-point harnesses that will make life easier for everyone. The ideal situation is to have every seat using the LATCH or shoulder belt to secure it in place, and then the kid only has to use the integrated 5-point harness. So instead of using a booster that relies on the vehicle's shoulder belt, the better option is to use a narrow convertible that can get secured to the seat using the LATCH or shoulder belt, and then the kids can use its integrated harness. This is for a couple reasons. 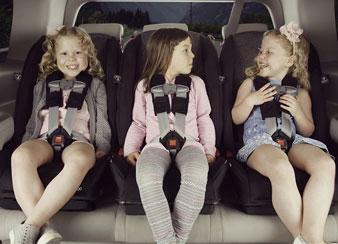 First, no matter which car seats you choose, when there are three in a row they will be squished up so tightly together that it will be very hard for kids to buckle their own backless or highback booster car seat with a shoulder belt. Second, you will have much more flexibility in terms of where to place a rear-facing versus front-facing seats if you're relying on the LATCH and shoulder belts to secure them in place. But just as important, we've also come to find out that seats vary tremendously in terms of width, with some being upwards of 20-21" wide, while others are down around 17 inches wide. And there are plenty right in the middle, such as a 19" Graco Milestone AllinOne Convertible Car Seat, and many others. In our full list, we only consider car seats that are 17" wide or less (at their widest point). Be careful about car seats that list the width of the base but then get larger as they go up - like infant car seats have especially wide handles even though the base might be skinny, and some highback boosters have a wide shoulder and head supports even though the base might be skinny. Bigger seats, more safety? One of the questions we receive a lot from parents is whether by choosing a narrow car seat they are compromising baby safety. 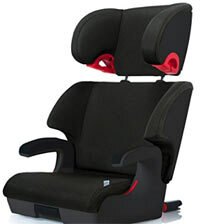 It is definitely true that the larger car seats tend to have more safety features, such as the more substantial torso and head side impact protection, more advanced installation systems (like the Graco Boulevard ClickTight Convertible Car Seats), and even load legs and anti-rebound bars. But does that mean a child's safety is being compromised with a narrow car seat? It's important to realize that all car seats sold in the U.S. pass rigorous government safety standards, and no unsafe car seat is available on the market, regardless of whether it's a super wide or narrow seat. With that being said, many parents want the peace of mind that their child's car seat might provide an extra degree of protection in crash tests. We agree that's appealing, but want to point out that none of the car seats we include on our lists are unsafe, and all of them will do an excellent job protecting a child in the event of a crash. So even a narrow seat will be safe, and to be fair, sometimes parents just don't have any choice other than buying a $50,000 vehicle that can fit three huge car seats in a row! This narrow car seat guide is for the parents who want to keep their current vehicle and make sure three car seats fit in a row. We also have a more general car seat buying guide.